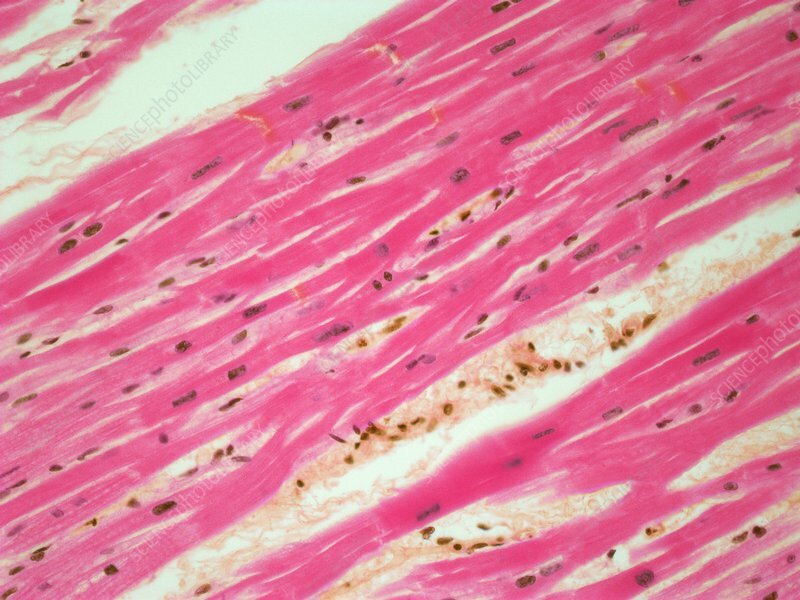 Human cardiac muscle, light micrograph of a section of healthy heart. Shows characteristic branching striated muscle with intercalated discs (cell to cell contacts). Magnification: x 150 when printed at 10 centimetres wide. Human tissue.